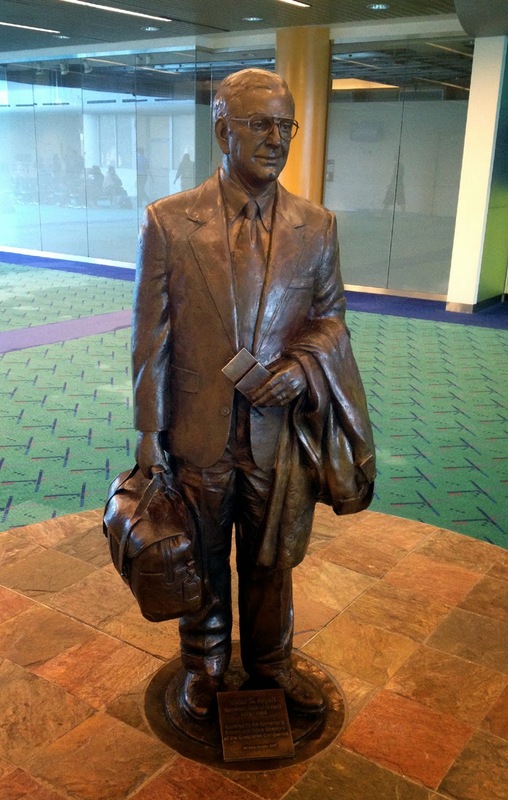 There's a fair amount of buzz in Portland media today surrounding the passing of Vic Atiyeh, Oregon's 32nd governor. Atiyeh served two terms, from 1979 to 1987. He passed away Sunday evening due to complications from injuries suffered several weeks ago. Atiyeh was governor during a difficult economic stretch for Oregon. A national recession that struck in 1980 had staying power here. The double whammy was the collapse of timber industry revenues, which had floated the state for a century. Looking for ways to keep the state solvent, Atiyeh launched a number of economic development initiatives that eventually resulted in trade relationships around the globe. Ironically, one of his most significant moments is generally under-appreciated. Atiyeh signed the Brewpub Bill (aka SB 813) into law in 1985. At the time, no one had a clue what the Brewpub Bill would mean to the state. Founding craft brewers thought brewpubs would provide access to an otherwise allusive clientele. They thought good beer and good food in a family environment would push the business (they hardly thought of it as an industry) to new heights. The story of how the brewpub legislation was bounced around the Oregon Legislature is covered in my book, Portland Beer: Crafting the Road to Beervana. In looking back, I discovered the brewpub idea was not universally supported by legislators. Some were against it because politically connected beer distributors didn't like it. Others thought approving brewpubs would give Coors access to Oregon, and they didn't like Coors' politics. The fact is, the law that legalized brewpubs probably could not have gotten through the legislature on its own due to opposition in the state senate. The way it did get through, finally, was inserted into a bill that legalized the sale of alcohol in bed and breakfast establishments. The brewpub language was added to that bill and passed out of conference committee. There was little fanfare when the bill reached Gov. Atiyeh's desk on July 13, 1985. He signed it into law and it was filed with the Secretary of State two days later. Little did anyone know. The Brewpub Bill did not mark the beginning of the craft beer revolution in Oregon. And Oregon wasn't the first state to pass such legislation. But brewpubs turned out to be a crucial element in what has grown into a multi-billion dollar industry. Without them, craft beer would have remained largely hidden behind the blackened windows of taverns and bars. Instead, Oregonians got to experience craft beer in the well-lit comfort of brewpubs. The rest is history, really. As we prepare for the 27th Oregon Brewers Festival, I hope someone will take notice and remember that the Brewpub Bill became law on Atiyeh's watch. We should toast Atiyeh and those who worked so hard to pass that legislation 29 years ago. We've come a long way.